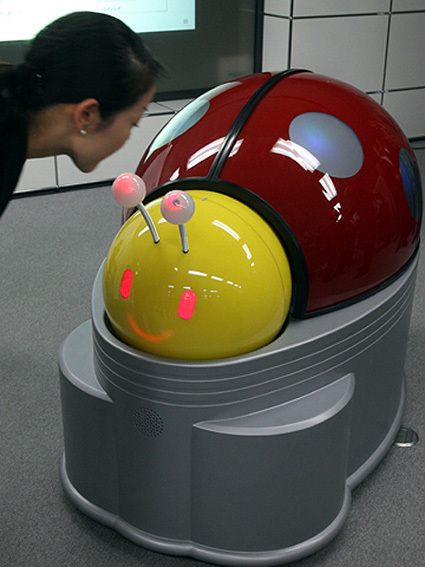 With Japan’s more realistic robots veering well away from the all important confines of cuteness, a motorway connected company has commissioned a contraption to counter such concerns. The result being a huge ladybird-like robot that is designed to rather lavishly clean up lavatories in highway rest areas. 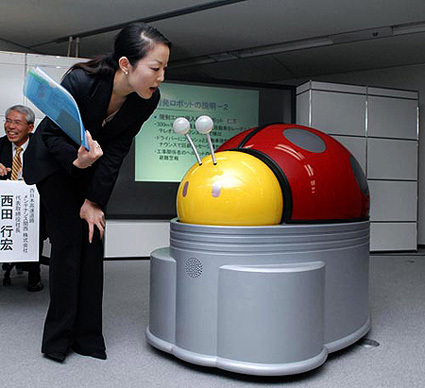 Plus, as well as being equipped with all the necessary sensors so as not to bump into those busily going about their business, the colossal cleaner will also be programmed to have simple conversations, although these will thankfully be on the subject of driving directions rather urinal misdirection or even stool-related stenches. However, with an expected price tag of 3.5 million yen when it’s released in the next year or so, it’ll require an awful lot of spent pennies to pay for it. Japanese toilets are crazy. While on vacation in Tokyo I determined there was an inverse relationship between the size of the electric toilet and the size of the cubicle. In one department store in Odaiba I had to climb on the seat to get out of the cubicle!